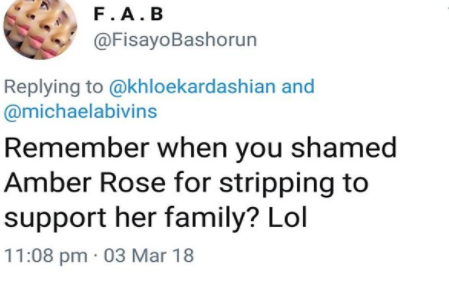 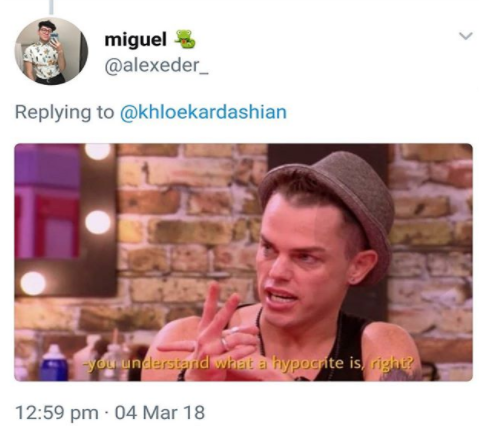 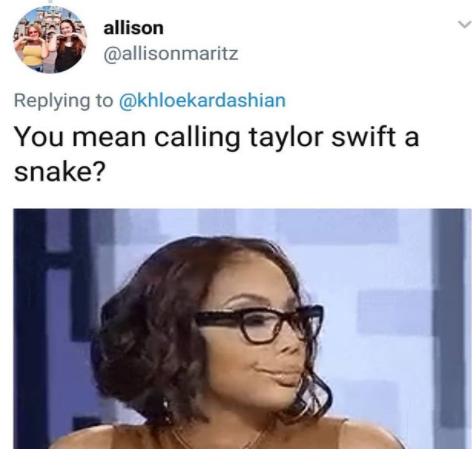 TV Star and mother to be, Khloe Kardashian would not have known the response from followers would not be in her favour, if not she wouldn’t have posted the tweet that has gotten her in trouble. 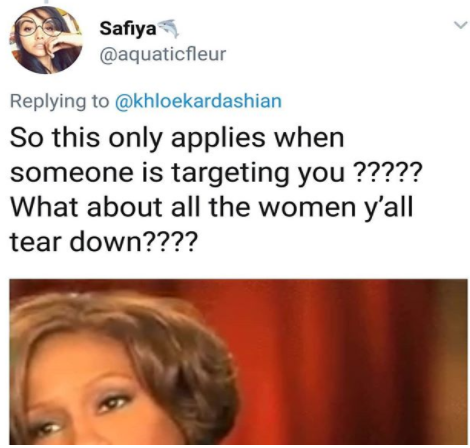 She shared a post on Twitter asking why women were so ready to take of another woman’s crown instead of helping them put it back in place. 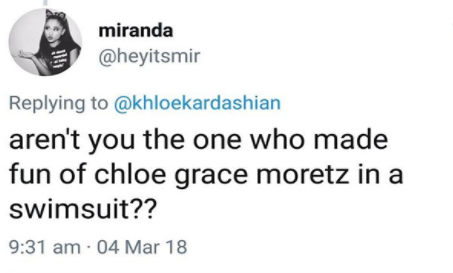 Tragedy struck when followers exposed her for doing the same thing she posted about. 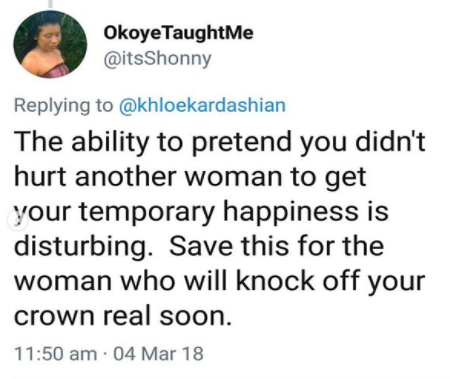 Recall that her new man and baby daddy Tristan Thompson dumped his partner who was also expecting a child to be with Khloe.